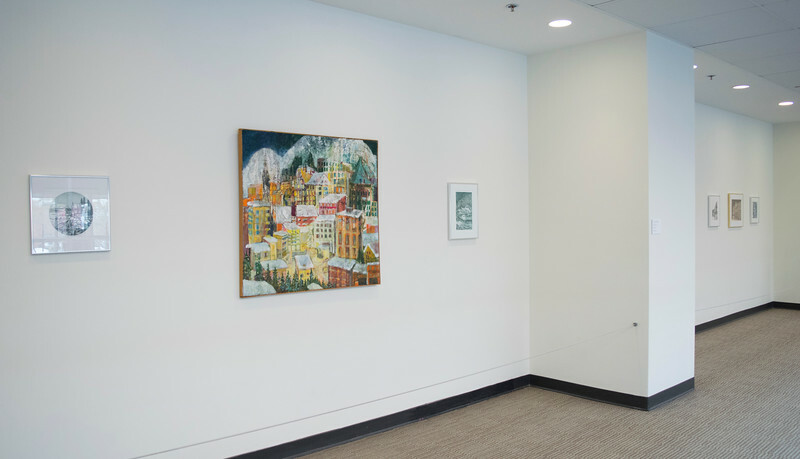 The Adelphi University Exhibitions Program and Art Collection are pleased to present the recently acquired work of alumna Christine A. Schmidt. Her sister, Alice Schmidt, not only donated the 600+ works to Adelphi but curated a retrospective exhibition conveying a broad range of her art throughout the years. This exhibition, which is open to the public, will be on view in the Performing Arts Center Gallery (Second Floor) from Sunday, November 6 through Sunday, December 18, 2016. A reception, with light refreshments, will be held on Wednesday, November 16th from 5:00 to 7:00pm.